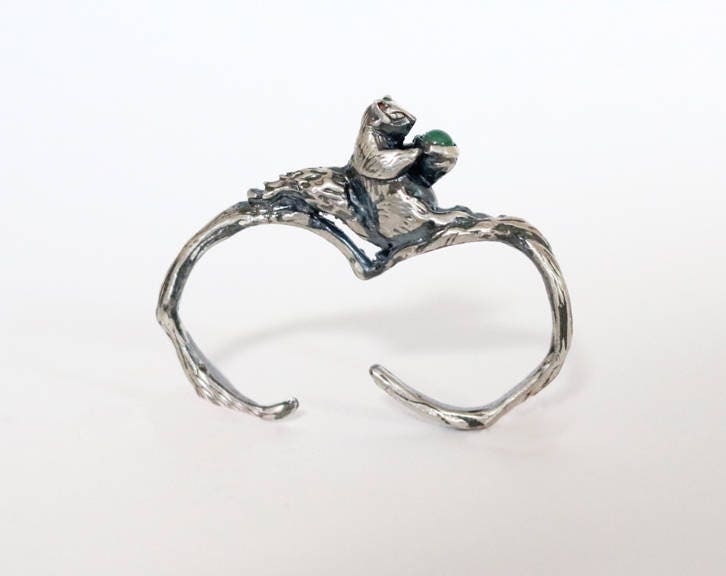 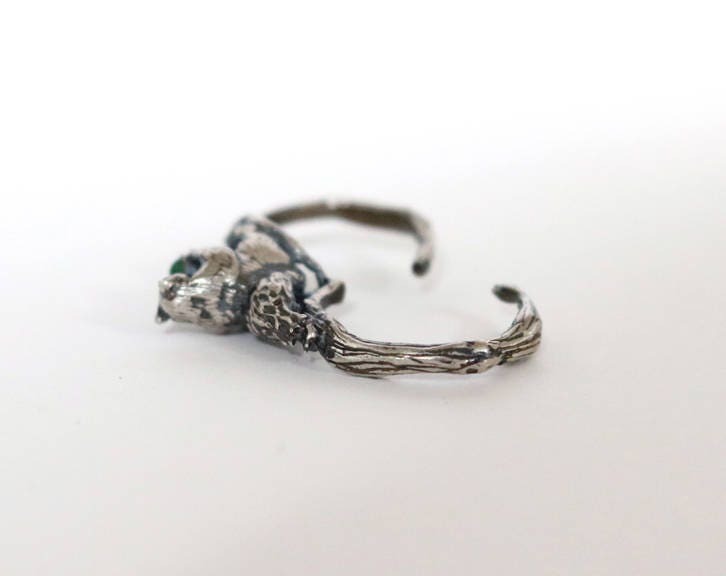 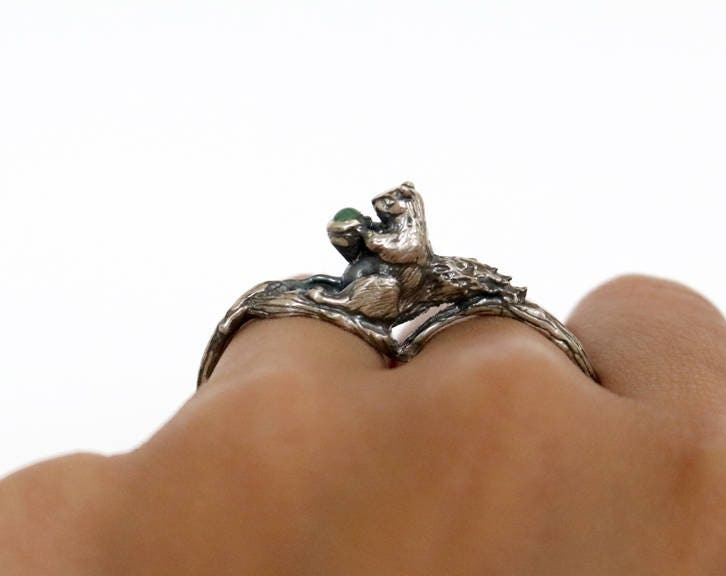 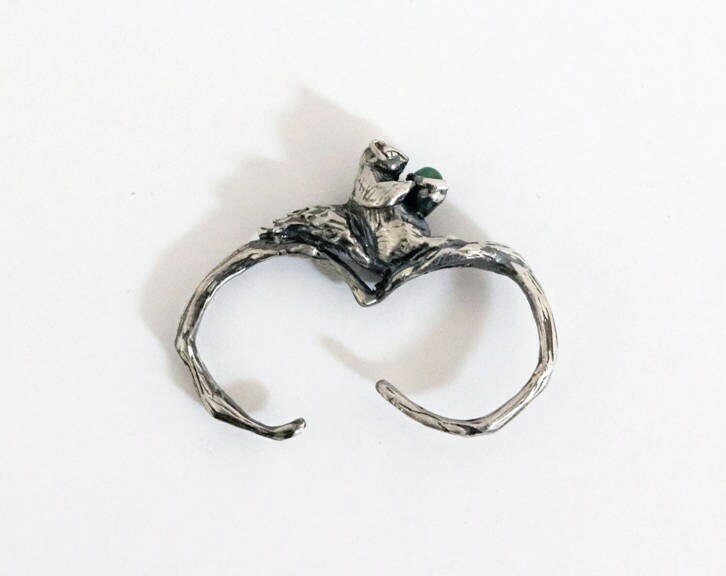 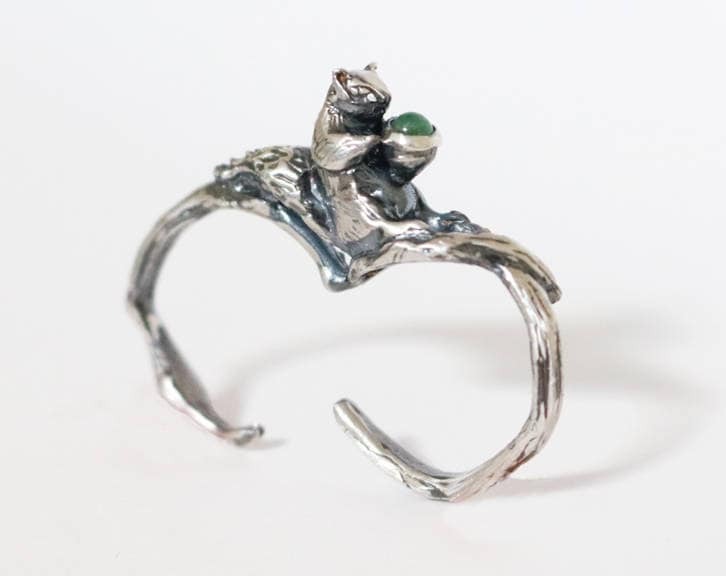 This whimsical squirrel ring is perfect for any animal lover. 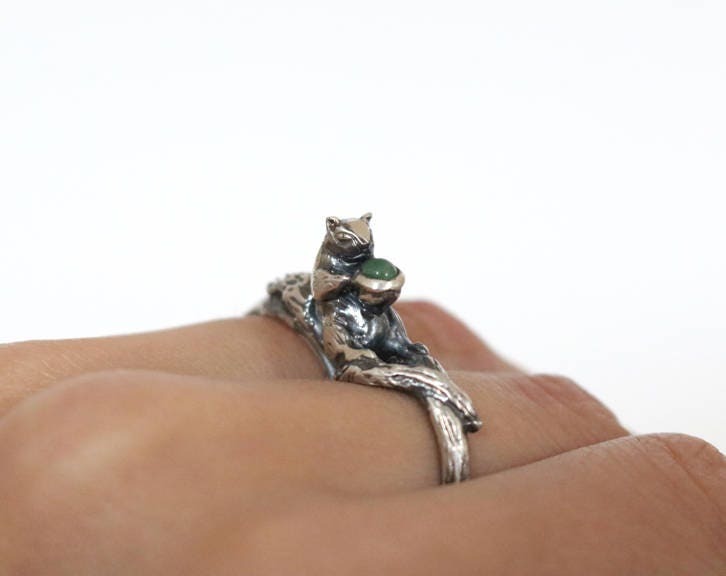 Looking down at your hand to see this little guy nestled in between your fingers, is sure to brighten your day. 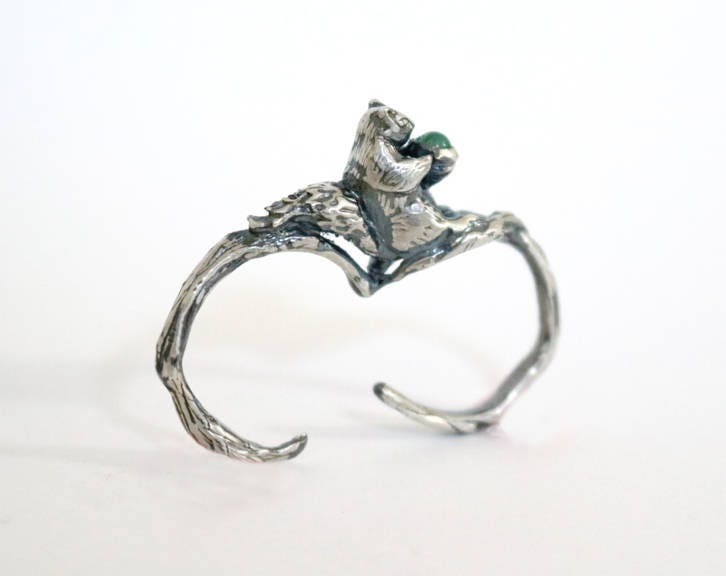 It's little jade acorn adds a pop of color, and it's adjustable nature makes it one size fits all! 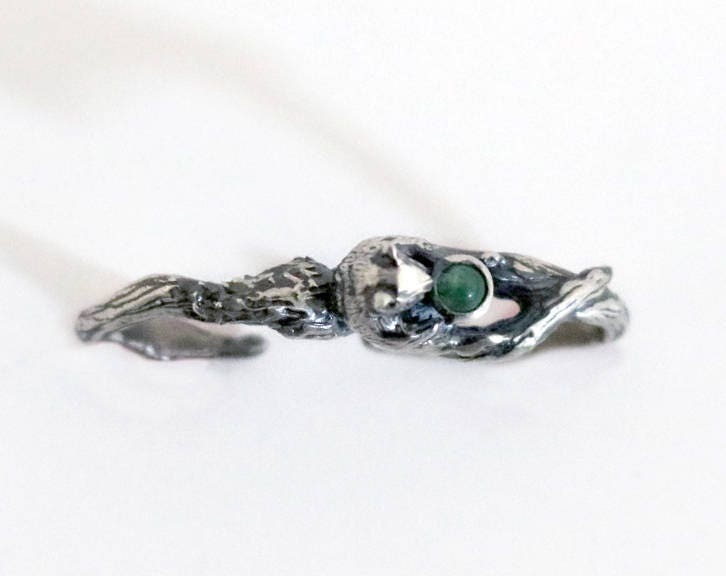 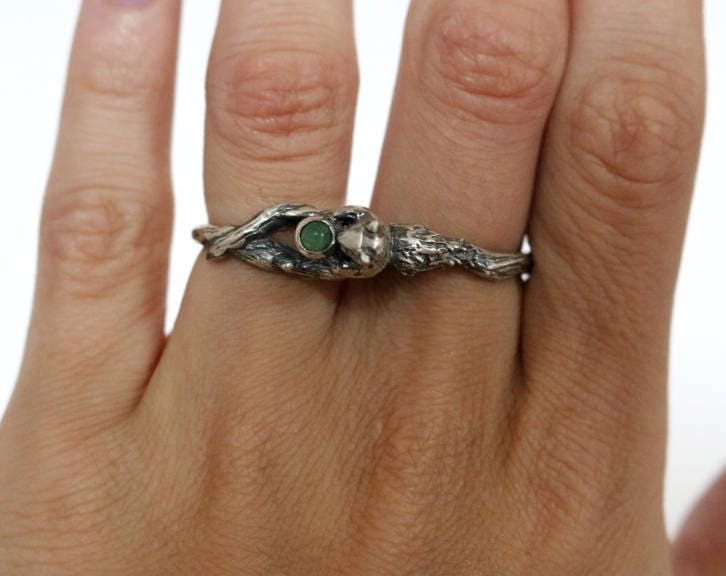 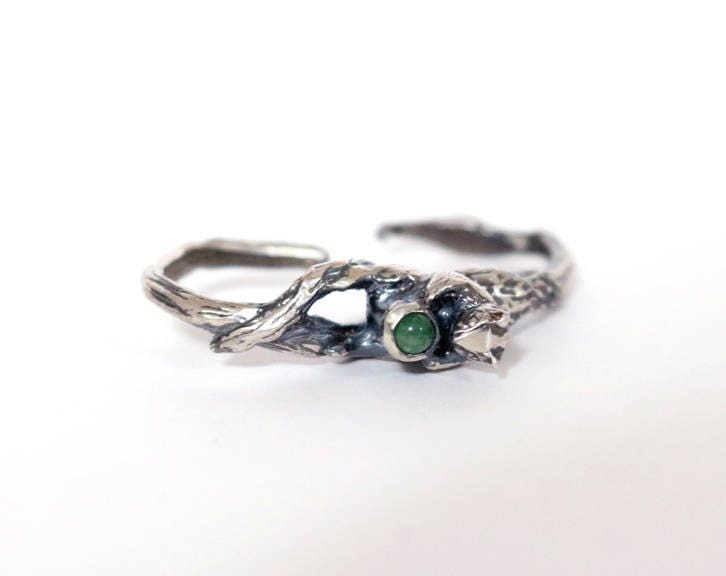 If you have a different stone in mind for this ring, please let me know and I can most likely accommodate your request.